Special Feature: Disability: A Gamble Worth Taking? Take your relationship with your customers to the next level by educating them on the importance of securing their valuables above and beyond their homeowner's insurance coverage. RLI's new standalone Jewelry Insurance provides customized coverage of diamond and engagement rings, fine jewelry and watches against accidental loss, damage, theft and even mysterious disappearance. RLI can cover large and small risks with a minimum premium of $50 and deductible options of zero to $10,000. Per item in-vault credits are also available. Worldwide coverage is provided for all risks of direct physical loss unless indicated differently on the declarations. The claims process allows your customers to choose their preferred jeweler when working with the replacement or repair of an item - no need for them to obtain multiple repair or replacement estimates. RLI's user-friendly website, www.rlijewelryinsurance.com, offers a wealth of information for you and your customers on the types of jewelry to insure, coverages, the claims process and more. 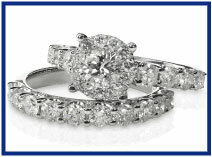 RLI Jewelry Insurance makes insuring jewelry easy for both you and your customers! It's just another reason you can expect something different when you work with RLI. Because at RLI, Different Works. Disability: A Gamble Worth Taking? Your most important asset is not your car, house, boat or other possessions. It is your ability to earn an income. An accident or illness that causes a disability can prevent you from earning an income. While most people think it won't happen to them, statistics show that this isn't true. According to the Commissioners Disability Table it is far more likely that your clients will suffer a disability than be in an auto accident or have a house fire. In fact, the chances of suffering a long term disability of 90 days or more before an individual reaches the age of 65 are unbelievably high: a 25-year old has a 52% chance of becoming disabled; a 35-year old has a 48% chance; and a 50-year old has a 34% chance. The odds are not in your favor. People often incorrectly believe they will be covered by Social Security, workers' compensation or their own savings. This simply isn't true most of the time. Social Security Disability is often difficult to obtain since the restrictions state the client must be completely disabled with no hope of recovery for at least one year. 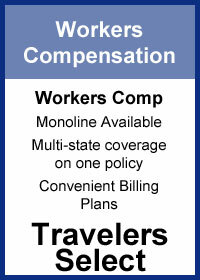 Workers' compensation only covers if you are injured on the job. 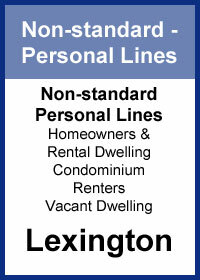 And personal savings goes fast when trying to keep up with the mortgage, care and other obligations. Although these programs can help supplement your income you cannot realistically expect to recoup your entire income using these sources. A quality disability policy will provide coverage in the event of disability. Take the time to educate your clients about the facts and the options available to them. Big "I" Employee Benefits offers a variety of Disability Solutions through our partnership with Crump Life Insurance Services. Visit us at www.iiaba.net: Products/Crump Life Insurance Services to learn more. Contact Christine Muñoz, Big "I" Director of Employee Benefits, at christine.munoz@iiaba.net for more information. The latest sales figures of recreational vehicles sales have climbed since they dropped off in 2008 and overall are near 2007 numbers according to the Recreational Vehicles Industry Association. March - June is when sales are at their peak so right now is the time to be seeking out new and replacement RV buyers to offer them the great Recreational Vehicle coverage from National Interstate. 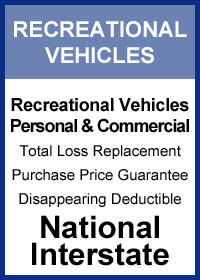 Dealerships and RV Shows are a great place to look for new clients. 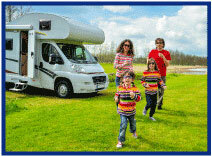 While most RVs are used for personal reasons there are a number of commercial uses as well. Different types of exhibitors, trainers, technicians, and mobile maintenance contractors use RVs while traveling to distant locations. Hospitals use them for mobile blood donations and testing sites. Hollywood is not the only place where major movie production is taking place and many studios have RVs or trailers for living and working at remote locations. Since an RV is really a home on wheels, National Interstate's specialty programs combine many of the features of an auto policy with those of a homeowner's policy. Whether a motor home, bus conversion, fifth wheel, stationary trailer, or travel trailer, they have a policy with a variety of coverages to help protect against the significant impact of depreciation and total loss. Someone once asked me if there is one thing I know that most other people don't know. I said "Well, it's how to use Indirect and Address in Microsoft Excel … REALLY!" I know most of you are thinking, "OK, this is not the first person to go have a beer with…" But really, it is a game-changer in many spreadsheet situations. I just used it with one of our Big "I" national insurance programs where I receive a spreadsheet with the same numbers for the 50 states and DC. I only needed one number from 51 worksheets and it's in Row 19 and Column G. If you remember "Indirect+address" your officemates will hear "Eureka!!!" coming from your desk. The explanation below defies readable prose but it conveys the power. If you want the sample spreadsheet, just email me at paul.buse@iiaba.net. 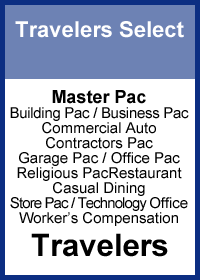 Congratulations to our agent in Mississippi on a garage pac sale of $9,517 in premium!